This armor is not without a wickedly cool edge. The Impaler Leather Arm Bracers feature a row of spikes that leave little mystery about its name. They are a perfect touch that is great for adding an element of danger to your appearance. These bracers are hand-made from quality 7/8 oz. leather that is sturdy, strong, and flexible. 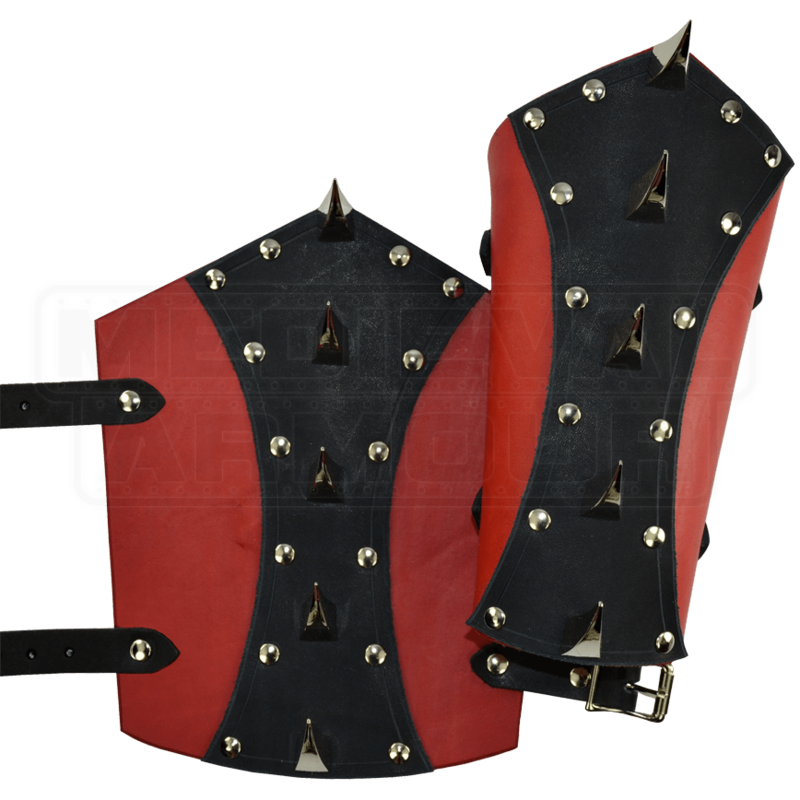 The row of spikes down the back of the bracers adds a level of intimidation that is hard to deny, while also acting as a secondary offense and defense that may just help you catch some blades or deflect some strikes in a fight. These bracers are easy to wear, too, thanks to a pair of leather straps and buckles on the bracer. 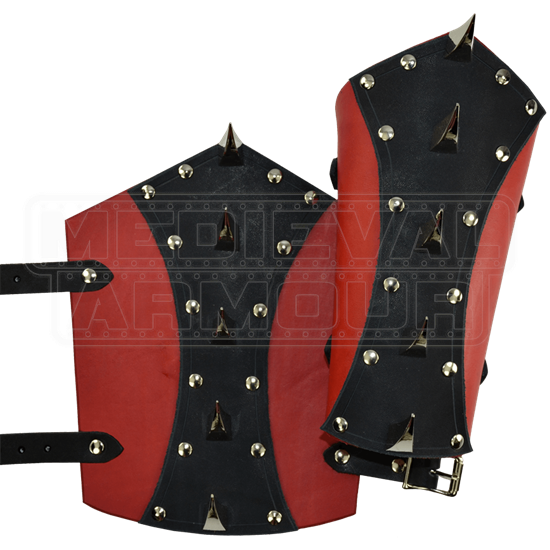 Wicked and awesome in their look, our Impaler Leather Arm Bracers are a piece of armor that your foes will not soon forget when they see them on your arms. The Impaler Arm Bracers come is a variety of color combinations. Hardware color is only available in steel (silver). When selecting your color, the first color listed is for the base piece of the arm bracer. The second color listed is for the center accent. Caution: The spikes on the Impaler Leather Arm Bracers are sharp. Use is at your own risk, please be cautious and careful when wearing or handling these.